“THE FOOT BONE IS CONNECTED..."
WHY IS THE BIG TOE THE BIG TOE!? 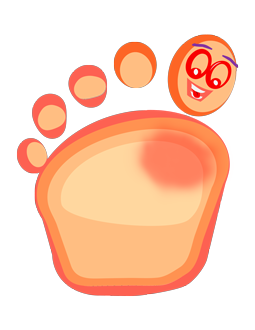 – meaning without our big toes doing their job, we cannot walk correctly or balance our body properly. Tripping and/or falling is an issue also. The capability of the toes (all of them) to spread and spring up as nature intended is crucial to our body's best function. In fact the number one leading cause of premature death in the older population is falling and many falls can be traced back to sloppy inappropriate footgear. the big toes for balance. Repeated damage from wearing the wrong size and shape of shoes, pointed toe shoes and high heels can cause our big toes to shift manifesting in bunions, sesamoiditis, neuromas and ultimately adversely affecting our entire body.